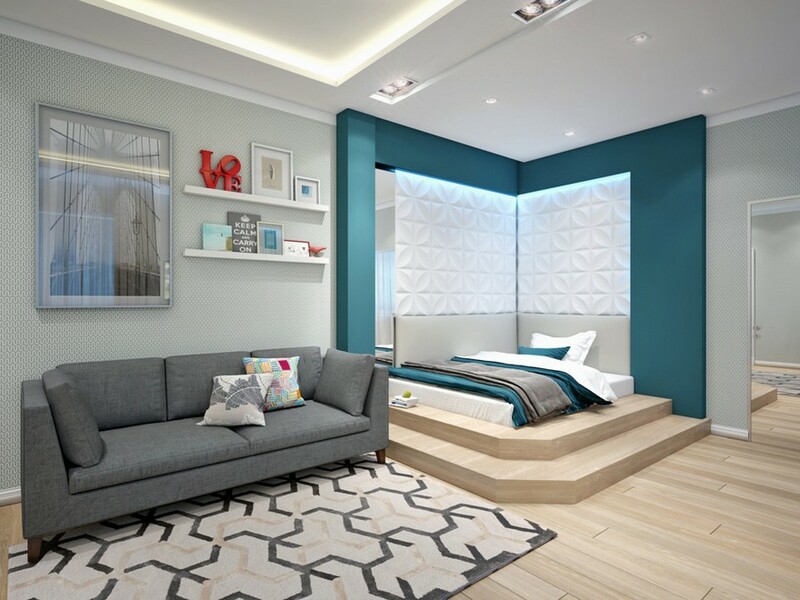 Why might you need a podium bed? Firstly, it’s a perfect solution in case you have two interior problems: lack of storage areas and no desire to sleep on a sofa. 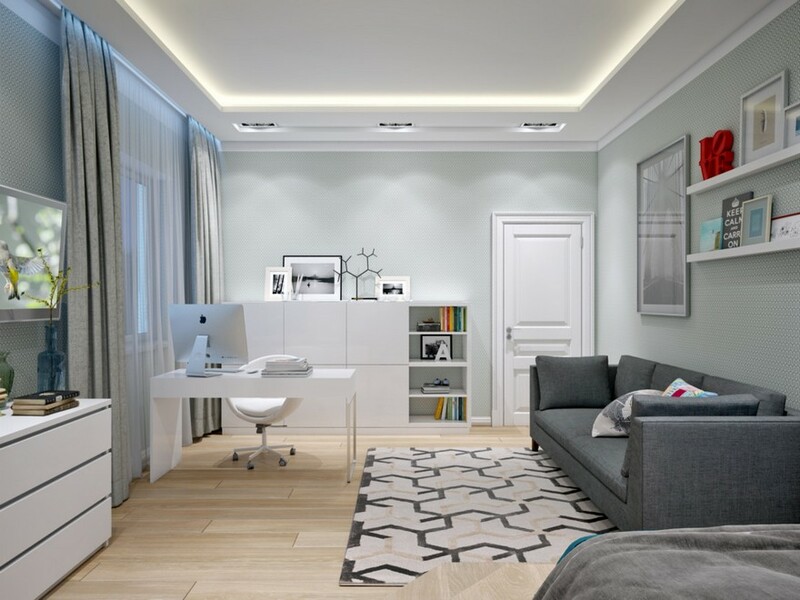 Secondly, it’s a nice way to zone a small room or, vice versa, a spacious open-plan apartment. And thirdly, a podium possesses important decorative features – it may either accentuate something important in your interior or, vice versa, distract attention from its shortcomings. Let’s have a look at 5 real interior design projects and see what roles podiums play in them. 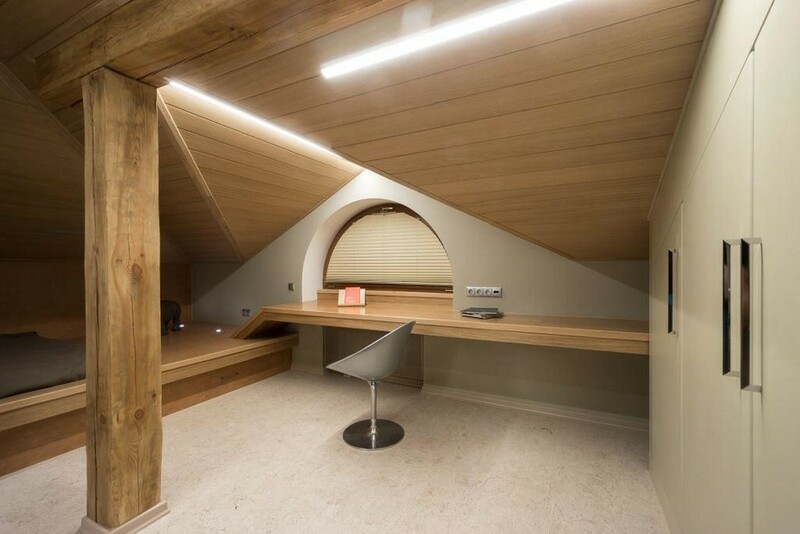 The author of this project was given a room with a very complicated geometry – an attic space with a non-standard, asymmetrical shape of the roof. Using such an area is not an easy task; cleaning it is even more difficult. To crown it all, its host is a teenage boy. So, the clients’ main wish was to organize storage with as few surfaces and as little dust-collecting home textile as possible. So, a podium bed appeared to be a win-win option: roomy drawers were built-in underneath, and the structure itself was made in welded metal and faced with wood and leather. Besides, the podium was equipped with built-in lights that may change colors via a remote control. 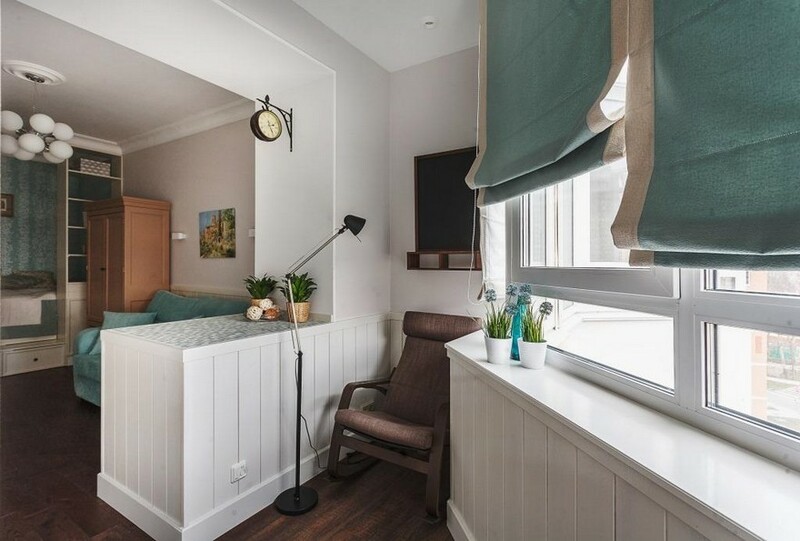 This small bedroom was designed for a girl, whose parents wanted her room to be multifunctional and have a separate, full-fledged sleeping area. 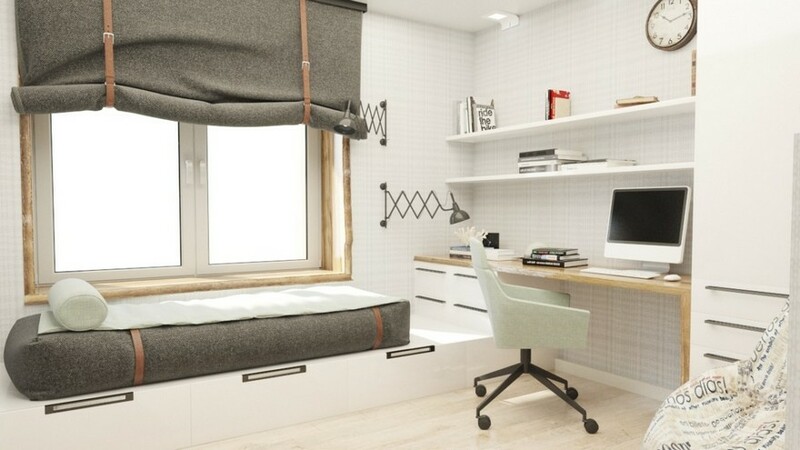 The author of the project managed to meet all the requirements: here you may find a desk, roomy wardrobes and cupboards, a compact lounge area for playing with friends, a cozy reading nook and a bed arranged on a platform. Pay attention that in this project it’s not just the podium that divides the space functionally: the effect of privacy in the bedroom zone is additionally enhanced by see-through bookshelves physically and peppermint wallpaper visually. Besides, the platform added bonus storage areas (a few built-in drawers underneath) and the sense of privacy, of course. Before renovation this room had two major weaknesses: too much furniture and a load-bearing column. 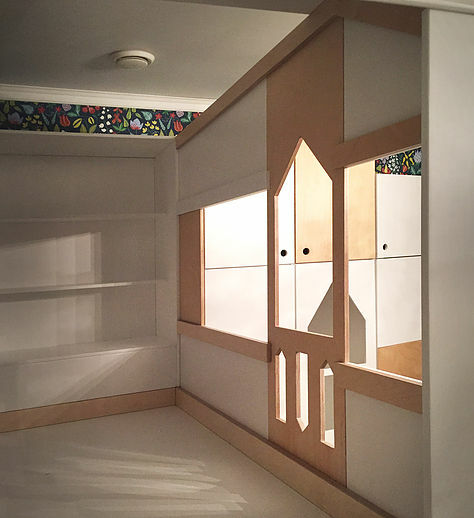 The solution was found in a podium construction: it became the centerpiece of the interior and the column was turned into a part of the bedroom area framing. And this bedroom for a teenage boy actually features two platforms. To be precise, the first podium pitched an idea for the second one. The thing is that due to layout alterations kitchen pipes had to be transferred through this bedroom, and the floor level had to be raised initially to disguise all the utility systems. 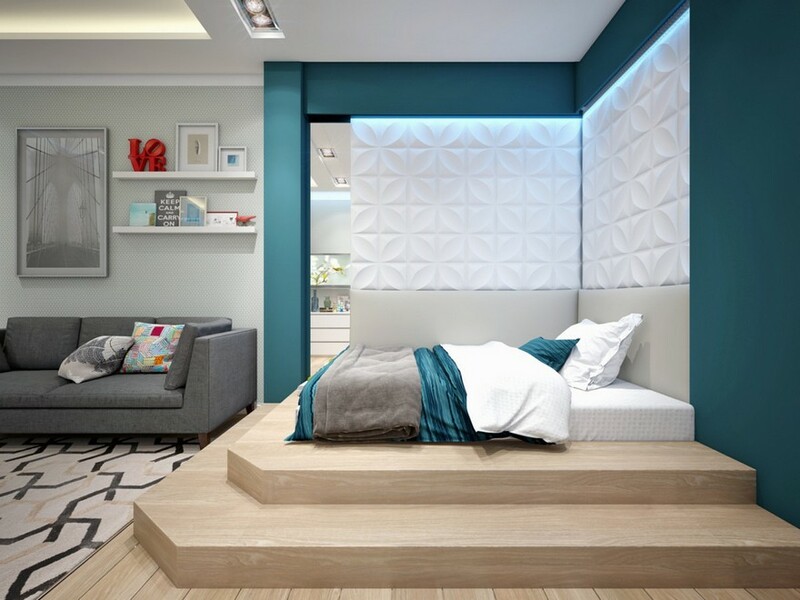 Then the designer came up with the idea of a podium by the window: it was meant to become the centerpiece of the interior, the main storage area and a nice bedroom zone with a mattress atop. 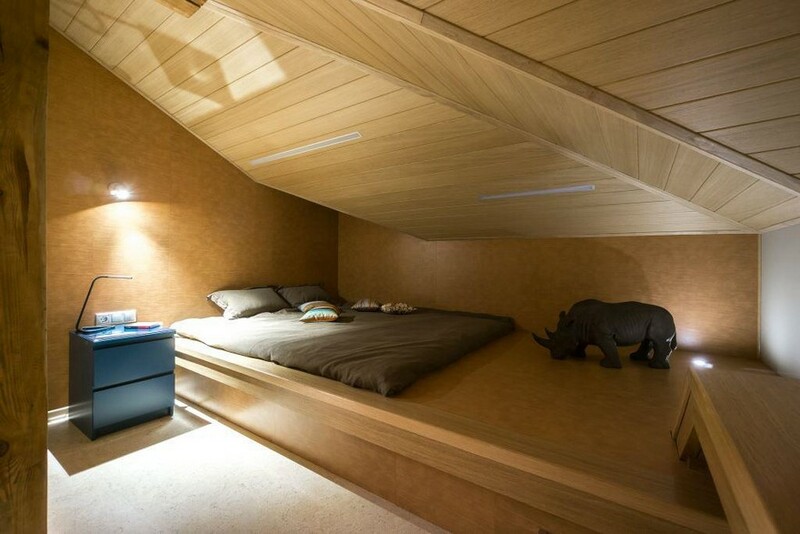 Its ideal location keeps the space open and makes the sleeping area very relaxing for the host. 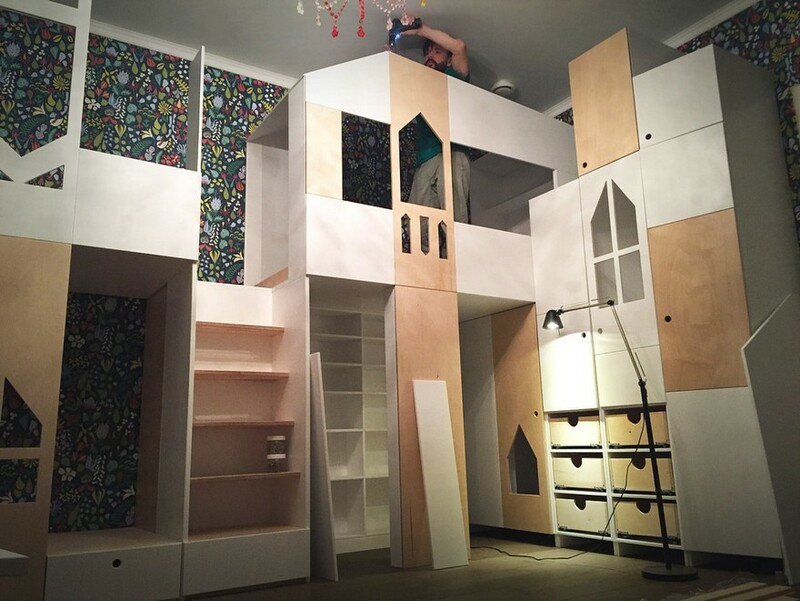 This incredible construction was custom-made by a carpenter’s shop. 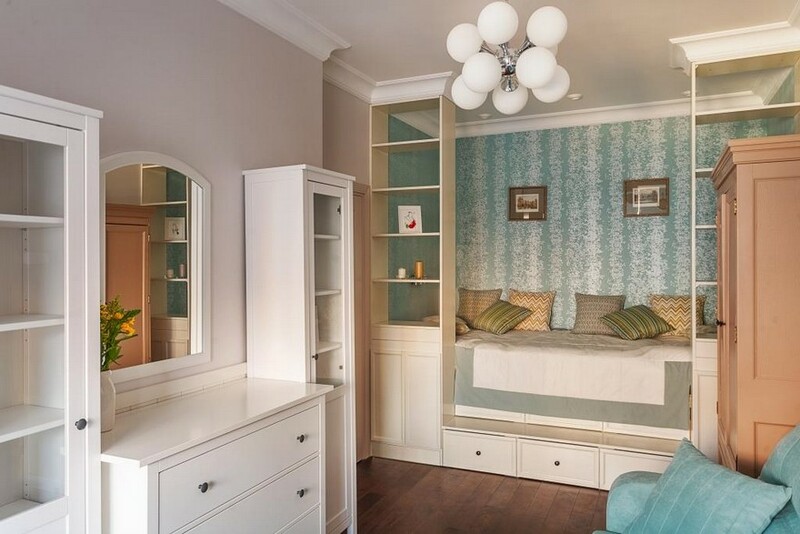 The craftsmen were given a quite challenging task: to accommodate parents and their kids in one room of a country house, where they come from time to time. Here the podium is the heart of the entire system: all load-bearing parts of the structure are either supported by it or mounted to it, including a staircase attached at one of the sides. Inside the construction there are a few pull-out cabinet drawers for storing bed linen. One more good thing about this podium is that almost any mattress can be put on it. Alternatively, a mattress can be removed and the platform turns into a perfect game zone. The entire construction is disassemblable and thus can be easily transferred to the second floor of the house or totally removed, when needed.